Paddling is a sport with something to suit everyone. Whether you are interested in cruising in a kayak, exploring by canoe, getting in shape on a SUP, hitting the rapids in a white water boat or trying your hand in competition you will find a wealth of information here to help you on your way. Tell us what you like and we'll do more, if we don't tell you what you needed to know let us know and we'll try to fix it. Just starting out on the water? 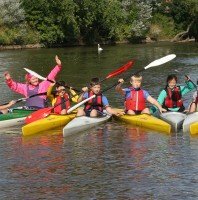 This is the place to learn about different types of paddling, different kayaks and canoes, think about where to go, decide whether to get some lessons, find local clubs, beginner courses and get to know the jargon. Whether you want to buy kit, sell kit this is the place to find out about all sorts of makes and models of canoe, kayak, paddle, buoyancy aids, spray skirts etc.etc. If you are just looking into paddling or have just ventured out on the water for the first time, these pages will help you set off in the right direction enabling you to progress quickly and enjoy your time afloat. There are so many aspects to the sport you are sure to benefit from some guidance at some stage. You might know where you plan to paddle but need help choosing the right equipment to make the most of your venue or venues. You might already have some equipment but are wondering how to learn to use it or what accessories you might need. Follow our links to find what you are after or search the site using the search box below. Kayak or Canoe, flat or rough water, racing or chilling, we look at the alternatives and lead you to more detailed information. You might like to join a club, find out why and follow our links to find clubs wherever you are. After a quick look at all the different types of boat you might come across find links to information about those that interest you. Learn how to know what to expect of a kayak from its shape and size. 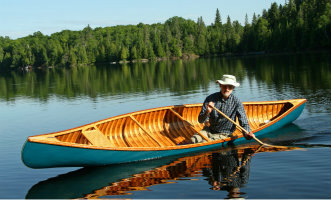 Follow links to learn about kayaks designed for different purposes. E.g. sea kayaks, touring kayaks, sit on top etc. All the basics; length, blade size, shaft types, materials etc. make sure you choose the right one for you. You know you want to be kayaking we look at the various types of kayaking and start you off with how to make your time on the water easy and fun. Starting you off with the basic forward stroke for single bladed craft we include further thoughts on how to progress. After a quick look at all the different types of boat you might come across find links to information about those that are of interest. Kayak or Canoe, flat or rough water, racing or chilling, look at the options and investigate further. 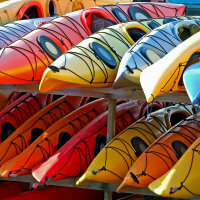 Learn what to expect of a kayak from its shape and size. 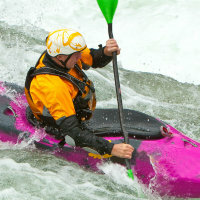 Follow links to learn more about kayaks designed for different purposes. E.g. sea kayaks, touring kayaks, sit on top etc. Starting with the basic forward stroke for single bladed craft we include further thoughts on how to progress. If you already take to the water on a regular basis you probably have a specific aspect of the sport that you are very familiar with. Here we might be able to tempt you to try something new or you may find ideas for your next day trip, long weekend or holiday. You will find us pulling together information on all the latest kit for comparison to save you trawling through the websites of all the suppliers and we bring you some great resources to improve your skills. There is always something to learn to make you a better paddler ( or maybe a better coach), perhaps you just need to paddle further or faster or with less effort, or maybe you want to feel more relaxed on moving water. Take a browse through our pages and see what we have to offer. With so many amazing places to explore by kayak or canoe make sure you find new places to paddle and share your favourite trips with us. Slalom, canoe polo, sprint, marathon, dragon boat racing, surf ski racing etc. Its all here. So many amazing places to explore, make sure you find new places to paddle and share your favourite trips with us. Whether you are new to the sport and need the many different shapes and sizes of kayaks or canoes de-mystifying or whether you want to see all the boats of a particular size by a variety of manufacturers we will try to help you here. Our headline pages covering canoes and kayaks in fairly general terms are shown under our getting started section as we assume out more experienced paddlers will want to dive straight in to their particular area of interest. Where to buy new kit and what to look for and the best places buy and sell secondhand kit. Roof racks and accessories, trailers, home storage solutions and how to store your boats to keep them in good condition. Something to say? Please leave us a comment in the box below.